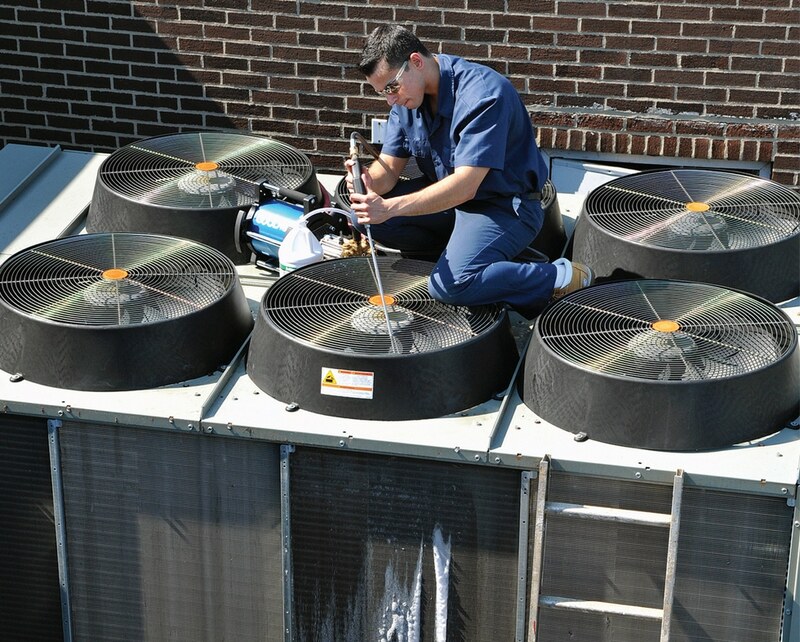 Thick evaporator and condenser coils have always been a challenge to clean. Either there's too much pressure that damages coils and fins, or too little water volume that can't get through the thick coils. The CoilPro® CC-400HF HiFlo® is the answer to those situations. It combines the best of both worlds - 400 PSI of cleaning power with 3 GPM+ flow rate that powers through even the thickest, dirtiest coils. Read how one customer saved $20K in the first month of use with the CC-400HF. All this innovative cleaning technology in one small, handheld design. The CoilPro CC-400HF operates on AC power and connects to a 3/4" water line for continuous operation. 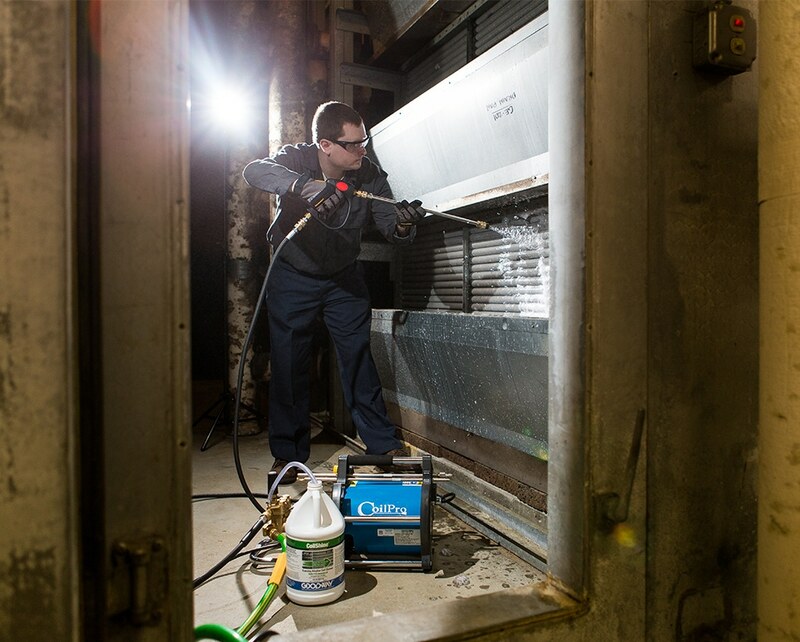 It offers special siphon technology to draw from CoilShine®, Goodway's expanding foam detergent, or other non-acidic cleaners, laying on a thick layer of foam and then using the CC-400HF patented technology to blast dirt, grime and biological matter from coils quickly. This unit includes our sectional 3-piece wand, which allows for better cleaning behind coils and sprays with a 90-degree nozzle attachment. Ideal for cleaning hard-to-reach coils. 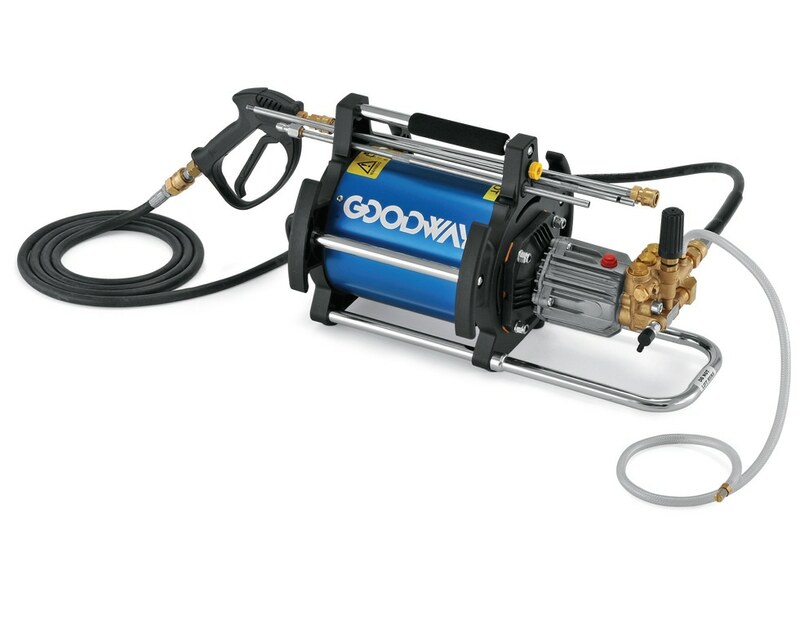 CC-400HF CoilPro HiFlo, 25' power cord, 12' hose, spray gun with detachable 18'' wand, two nozzles (flat spray and pinpoint) and a 40" sectional wand for reaching in and around tough-to-clean coils. CoilShine is safer, non-acidic blend of powerful, fast-acting and foaming micro bubble detergents, specifically formulated to clean even the dirtiest evaporator and condenser coils. Case of 4 gal. When filthy dirt and grime coats your air conditioner's coils, it's forced to work harder and it costs more to run. Goodway gives you a simple, practical checklist you can use to make sure you've taken all the right steps to clean coils. 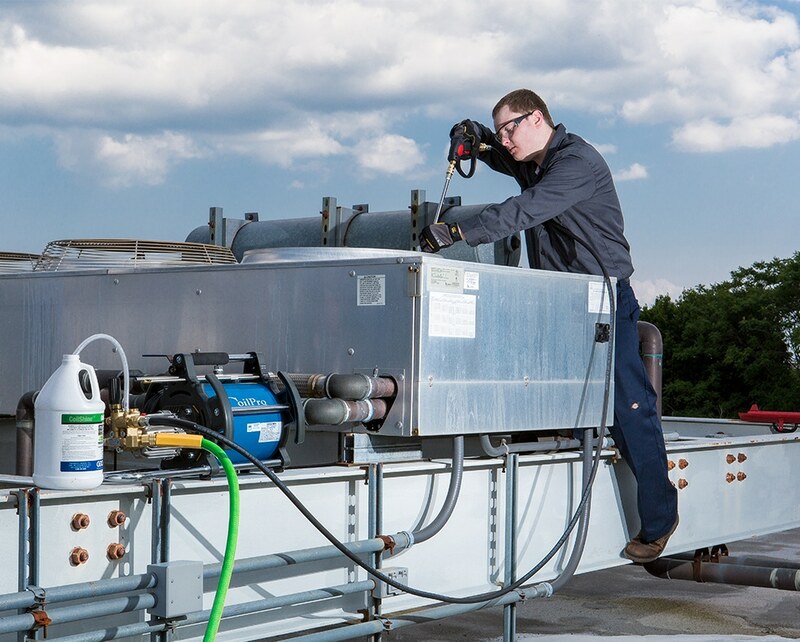 Goodway's Coil Cleaning Pro Guide can help you determine the best the way to clean coils and the major savings it can deliver. Download your copy today.